LOS ANGELES, CA – The Ultimate Fighting Championship® (UFC®) returns to Brazil for UFC FIGHT NIGHT: SHOGUN VS. HENDERSON 2 live on FOX Sports 1 and FOX Deportes on Sunday, Mar. 23 (7:00 PM ET), headlined by a five-round light heavyweight rematch of former UFC light heavyweight champion and current No. 7-ranked Shogun Rua (22-8) versus former Strikeforce® Champion and No. 8-ranked Dan Henderson (29-11). Their first bout at UFC 139 in 2011 was considered one of the greatest UFC fights of all time, with “Hendo” scoring a five-round unanimous decision victory. The UFC FIGHT NIGHT main card also features a middleweight bout between The Ultimate Fighter Brazil season one winner Cezar Ferreira (8-2) and CB Dollaway (14-6). Plus two more The Ultimate Fighter finalists, Leonardo Santos (12-4) and Norman Parke (20-2), square off in a lightweight battle. Fabio Maldonado (20-6) takes on Gian Villante (11-4) in a light heavyweight matchup, while lightweights Michel Prazeres (17-1) and Mairbek Taisumov (21-4) face each other. Featherweights Rony Jason (14-4) and Steven Siler (23-11) kick off the main card. Jon Anik and Brian Stann call the matchups live from Natal, Brazil, while veteran combat sports journalist Karyn Bryant hosts the show from the FOX Sports 1 studios in Los Angeles, with analysts Kenny Florian and UFC light heavyweight Chael Sonnen. Heidi Androl interviews fighters in Brazil. Coverage of UFC FIGHT NIGHT begins Wednesday, March 19 (7:00 PM ET) on FOX Sports 1 with the UFC TONIGHT, with hosts Florian and Sonnen previewing the fights. Bryant interviews Henderson before the epic rematch, while Insider Ariel Helwani adds additional reports. The UFC WEIGH-IN SHOW airs Saturday, March 22 (3:00 PM ET) on FOX Sports 2 with Bryant, Sonnen and Florian in studio as the 24 fighters attempt to make weight. Androl interviews fighters during the show. On Sunday, March 23 (4:00 PM ET), the UFC FIGHT NIGHT PREFIGHT SHOW kicks off the action on FOX Sports 1, with the same studio crew as Saturday providing the live coverage. UFC FIGHT NIGHT PRELIMS begin on FOX Sports 1 at 5:00 PM ET with four fights, including Diego Brandao (22-9) against Will Chope (19-6) in an exciting featherweight bout. Middleweight Ronny Markes (14-2) faces Thiago Santos (8-2). The No. 7-ranked flyweight Jussier Formiga (15-3) takes on No. 14-ranked Scott Jorgensen, and kicking off the prelims, Thiago Perpetuo (9-3-1) fights Kenny Robertson (12-2) in a welterweight bout. Wrapping up Sunday evening, FOX SPORTS LIVE recaps the fights immediately following the conclusion of UFC FIGHT NIGHT, with interviews of the winners and losers. In the week leading up to the main event, FOXSports.com features extended coverage of UFC FIGHT NIGHT, including interviews with the main fighters and a live blog during the fights. Follow @UFConFOX on Twitter and use the hashtag #UFCFightNight for the latest updates. Fans can also catch the fights on FOX Sports GO, the app that provides live streaming video of FOX Sports 1 content. 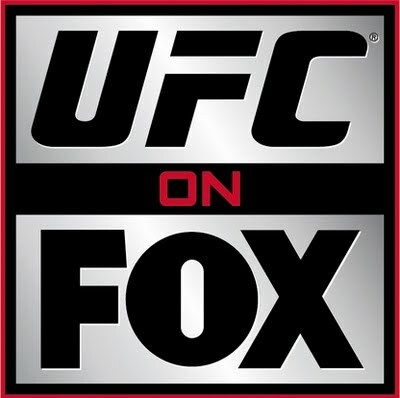 Customers of participating video providers may access the live streams of the UFC FIGHT NIGHT: SHOGUN VS. HENDERSON 2 through the FOX Sports GO app for iOS devices, as well as on desktops through FOXSportsGO.com. Following the fights in Brazil, FOX Sports 1 has complete coverage of THE ULTIMATE FIGHTER NATIONS FINALE: BISPING VS. KENNEDY, on Wednesday, Apr. 16 (7:00 PM ET).